It absorbs water well, so it is easy to use. It may have been too small for a wide range of cleaning, as the width is small. This review is about item#37139697. I usually buy 260 grams. I bought this 187 grams for the first time. If it is light and easy to squeeze and there is no hindrance to use, it is under consideration that it may be substituted for this in the future. When washing with water for the first time, threads will be loosened and threads will get tangled together, so it will not be used. I will tear off the thread if I try to force it. I bought replacement threads quite a bit, but this is my first time with poor quality. This review is about item#37139715. I can not help it because the thread is tangled. Loosening the entangled thread will cause a large amount of lint scratches and the floor will be full of lint. I bought a variety of mop changing threads, but it was the first time I made it to no good at a time. 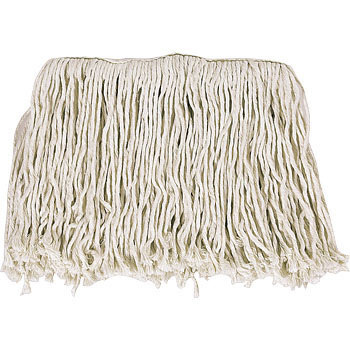 It has a lot of hair, absorbs moisture well and wipes easily. There is much dirt absorption. When washing with a washing machine to remove dirt, when dehydrating, threads are entwined and it is really difficult to use .... It is Ureshii if there is explanation of prevention of them.